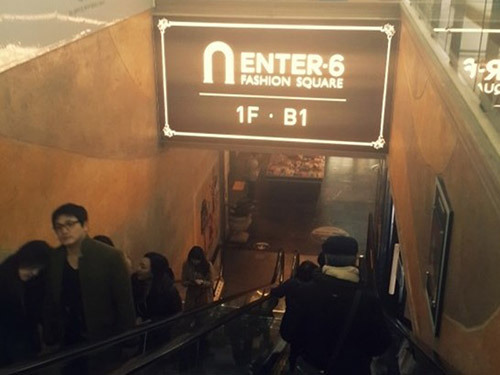 I will introduce you to the shopping mall ‘Enter-6’ and the area around Wangsimni station. As Wangsimni station has a large floating population just like Myeong-dong, it is full of many things to enjoy such as eating, shopping, and more. This is a place that I recommend you to play at. I hope you read this article and enjoy Wangimni station to the fullest. While there are many hidden restaurants in Wangsimni alley near Hanyang University, more famous franchised restaurants are located at Wangsimni station and Enter-6. 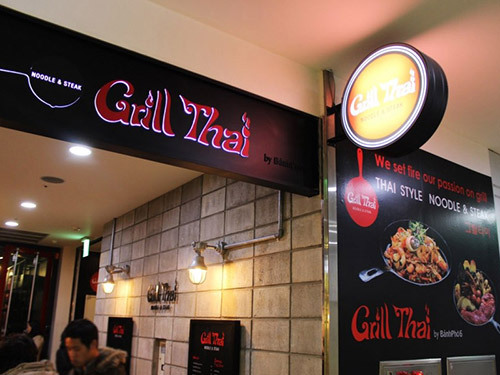 The first one I’d like to introduce to you is ‘Grill Thai’. You can try unique Thai food like grilled steak, Phat Thai, and fried rice. It is next to ‘VIPS’ at exit 12, so you can easily find it. 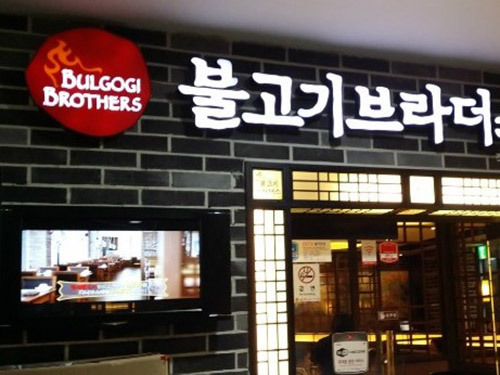 The next one is ‘Bulgogi Brothers’. You can enjoy the traditional Korean meat dish, Bulgogi, here. Apart from the main dish Bulgogi, side dishes like cold beef salad, white Kimchi and Hongcho Ade are also tasty. It is on the 4th floor of the Enter-6 building. It is really easy to have your dessert in the same building. You can enjoy various kinds of handmade ice cream in ‘Cold Stone’ (4th floor of Enter-6), and Taiwan Bubble tea in ‘Gongcha’ (2nd floor of Enter-6). You can buy almost everything in Enter-6 because Emart is on the 2nd floor of the building. Also, there are many clothing brands on the B1 and 1st floor. 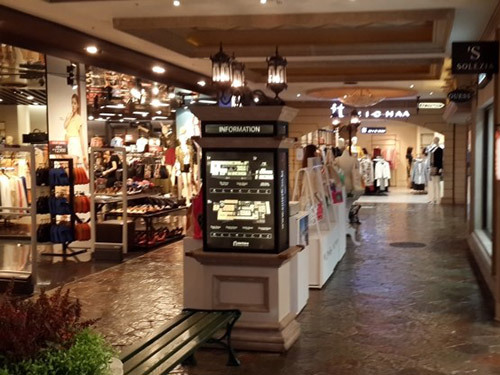 Sportswear brands like Nike, Adidas, Pancoat, and a unisex casual SPA brand Uniqlo are occupying spaces on the 1st floor, and young casual brands like LAP, MIXXO, and Roem are in B1. Korean cosmetic stores like ‘Oliveyoung’, ‘Aritaum’ and ‘LOHBs’ can be also found there on B1 and 2nd floor respectively. You can see that this buildings offers you a wide variety of products in a single place. It’s really easy and timesaving to go shopping at Enter-6. Here, all major brands can be found at a single place! 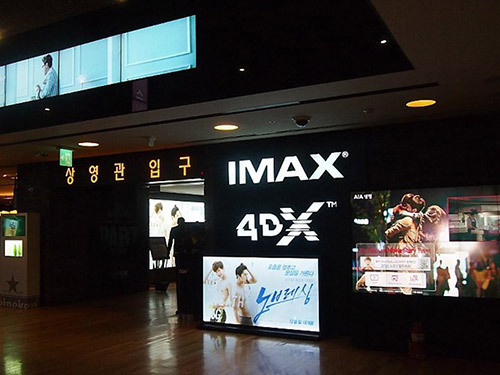 Aside from this, there is also a cinema, called multiplex CGV, in the very same building (from 4th floor to 6th). Wangsimni CGV is quite fancy compared to CGV cinemas in other places. It has not only 3D and 4D screens, but IMAX screens which are much bigger and equipped with more vivid sound than regular one. Besides, there are Sweetbox screens for couples and Gold Class screens for those who want better service and premium seats. Furthermore, the complex offers another place which is perfect for those who are tired of getting around. It is an original Korean dry sauna called ‘Jimjilbang’. In a Jimjilbang, you can do everything from enjoying sauna to playing video games, eating, watching TV, and getting massaged. Wangsimni’s ‘Fourseason Waterpark’ is a Jimjilbang with the most modern facilities. Here, you can experience the Korean ‘Jimjil’ culture and have a really relaxing time.